A Home For All Seasons. 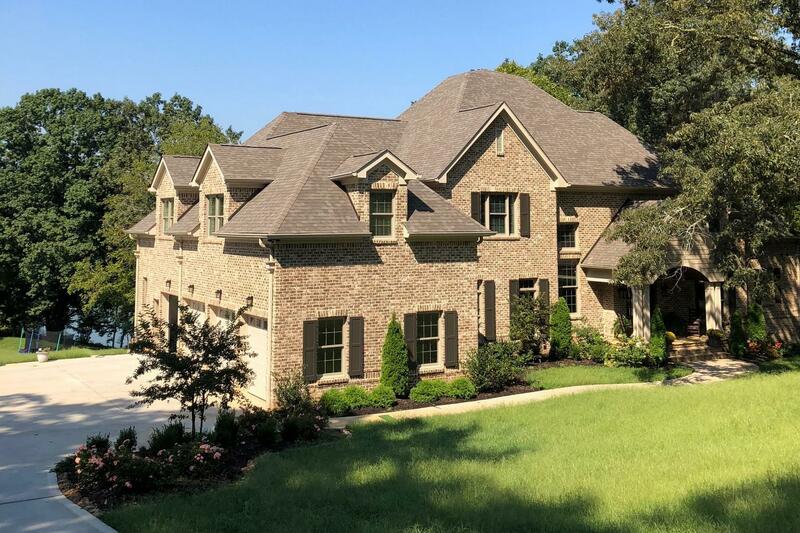 This stunning all brick home provides a timeless and tranquil living environment. From the elegantly designed kitchen with an over-sized island, granite counter tops, and adjoining breakfast area, to the vaulted, wood paneled ceiling in the great room with fireplace. The master bedroom with trey ceilings leads to the spacious, spa like bath room. The second level boasts 4 bedrooms, three full baths and a large bonus room. Retreat to the den on the lower level, complete with a full kitchen, stone fireplace, exercise room, and easy outside access to the covered boat dock. The dock comes with a boat lift and room enough to dock several watercraft.